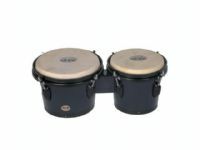 Bongos – The Mano Percussion 715 Bongos feature 7” & 8” shells, and are tunable with any standard drum key. Natural skin heads are mounted with standard black flanged hoops and hardware, and are available in several attractive colours. 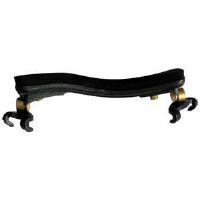 The Economy Tambourine features a classic sound in a lightweight economical design. 2” Suede guitar strap with Profile logo embossed. Adjustable from 41” to 56”. Made in Canada. Teal. Menzel; Breton Kun Style; Cushion of shoulder for violin. Traditional design, sturdy molded plastic base, shoulder foam cushion, rubber protective edges, adjustable feet for height, width and incline. Wall Mount Guitar Hanger With Auto-Clamp. 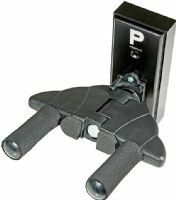 Tripod base straight mic stand, black finish. 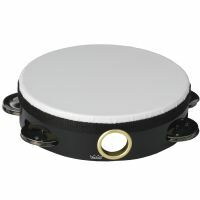 Profile 2.6” Leather Strap – Top quality soft leather top and backing, foam padding, fully adjustable. 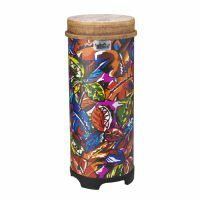 50-Series Tubano® Drum - Pre-Tuned, Tropical Leaf, 10"
The Valencia 50-Series Tubano® produces controlled warm tones and sustain.